Sonia Gandhi seems to be miffed with her own partymen for preferring a small photograph of Rahul Gandhi on the Congress Manifesto for 2019 Lok Sabha Polls. 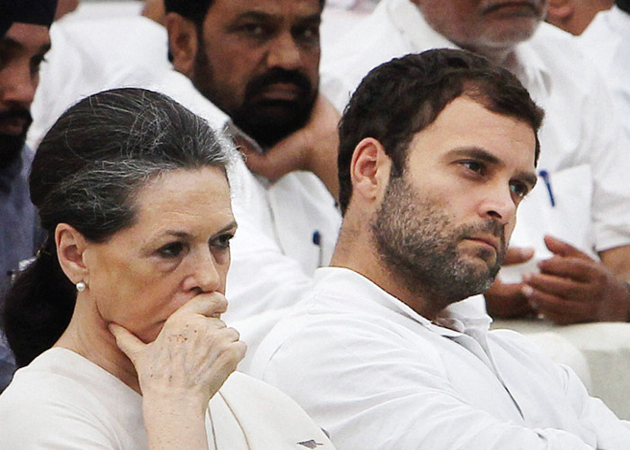 As per media reports, Congress Supremo looked visibly upset during the Manifesto Launch on April 2nd. She even refused to answer the questions of the media persons due to the same reason. Reportedly, Sonia had a confrontation with the AICC Research Committee chief Rajeev Gowda over opting for relatively small photo of her Son on Congress Manifesto. She believes Rahul Gandhi's Face and Party Symbol should have been highlighted on the manifesto. AICC Research Committee Members conveyed to Sonia that cover page of the manifesto which shows a sea of people sends a message to public that Congress has come up with people's manifesto. May be, Sonia should worry about the lack of huge growth in the poll prospects of Congress even after 5 years more than anything else. Lokesh Can't Even Pronounce Mangalagiri Properly!